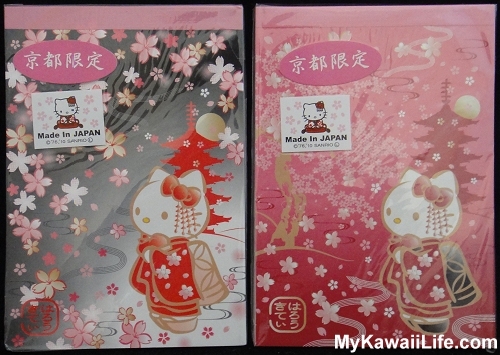 My favourite Hello Kitty memo pads are those that are released only in Japan. 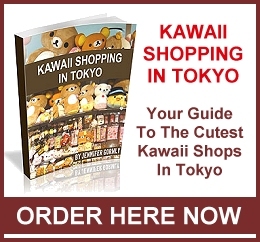 Most of these are regional releases and tend to feature Hello Kitty either dressed in a kimono in a Japanese setting or dressed as a mascot representative of a particular area of Japan. I love them all! 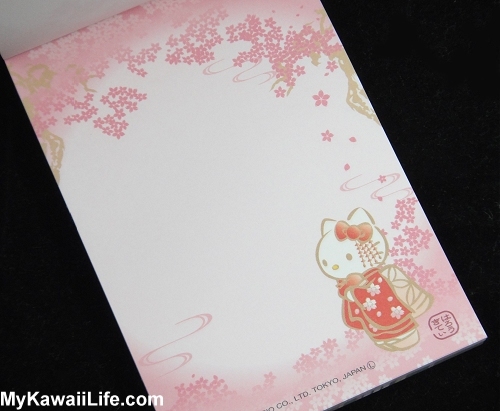 These are two of the most beautiful Hello Kitty memos that I have in my collection and I thought you might like to see the pages inside. The second design is my favourite. 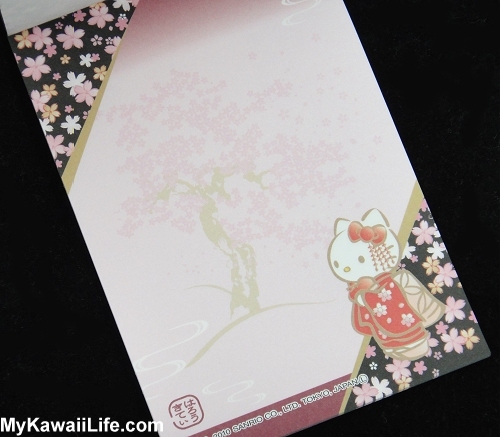 It features a sakura tree in full bloom as well as lots of sakura blossoms. Sakura are also featured prominently in the second design, only this time they are set against a maroon background. 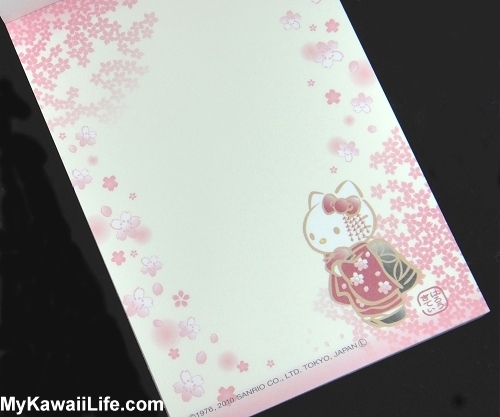 I’d love to know which Hello Kitty memo is your favourite! Please leave a comment in the comments box below. 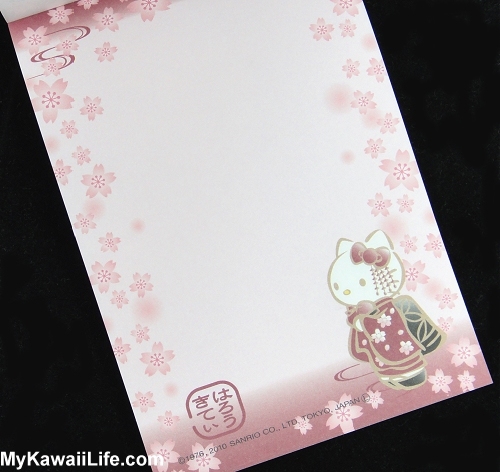 This entry was posted in Hello Kitty, Kawaii Stationery and tagged Hello Kitty, Japan, Kawaii, Memo Pad, Memos, Sanrio. Bookmark the permalink.